Everyone wants to visit The Statue of Liberty, The Empire State Building, Grand Central Terminal and the Brooklyn Bridge as famous, and historic, New York City landmarks. 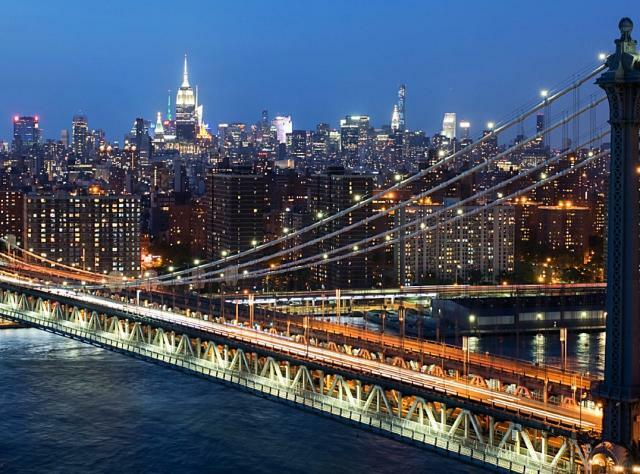 Over the years, however, newer NYC landmarks have become must-see tourist destinations, such as the National September 11 Memorial, Apollo Theater and the East Village/Lower East Side Historic District. But you’ll find historic landmarks are all across New York State, and each one tells part of the story of America. When you visit a famous NY landmark, you’ll witness innovations in architecture, learn about the challenges of historic military battles, and be awed by the splendid mansions built by our state’s most influential families: the Vanderbilt Mansion and Sagamore Hill are two fine examples in the Hudson Valley and on Long Island. You can even take a sail on a National Historic Landmark: Priscilla, a restored 1888 oyster sloop, sets sail from the Long Island Maritime Museum. Continuing the nautical theme, visit Sag Harbor to see Old Whalers’ Church, a National Historic Landmark built in 1844. Boldt Castle is a premier attraction on the St. Lawrence River, and two NY waterways, Lake Erie and the Hudson River, are linked by the Erie Canal: this engineering marvel has hundreds of miles of scenic and recreational waterway and trails to explore. Some New York landmarks are simple – think wooden covered bridges – or widespread, such as the many sites of the Underground Railroad. Some are woven into the fabric of modern life: nearly two-dozen original pre-Revolutionary War stone houses are still occupied in the historic district in Kingston, the first capital of NYS. Schenectady’s Stockade National History District is the oldest residential neighborhood in America, and over 40 homes are over 200 years old. In the 19th century, the village of Weeksville in Brooklyn was a vibrant and free African American community; today, you can tour some of their homes and learn about this important settlement. Fort Ticonderoga, in the scenic Adirondack Park, is one of the oldest and most significant places in the North American continent’s history. With nearly 2,000 acres of landscape to enjoy on the shores of Lake Champlain, plus the roar of cannons, the pageantry of arms, and historical exhibits and authentic re-enactments, the struggle for America’s freedom comes alive. And, in Seneca Falls, the Women’s Rights National Historic Park offers house tours and fascinating exhibits, from the First Women’s Rights Convention in 1848 to modern times. At the Hall of Governors in our State Capitol, there are many opportunities to learn about the diversity and richness of the Empire State through exhibits and tours. And what tour of New York State landmarks would be complete without a trip to the site of the 1969 Music & Arts Festival that became known simply as “Woodstock?” Today, Bethel Woods Center for the Arts offers performances, exhibits and a museum dedicated to the study of the 1960s. New York’s landmarks come in all shapes, types and sizes – and they’re truly everywhere, all across the state!